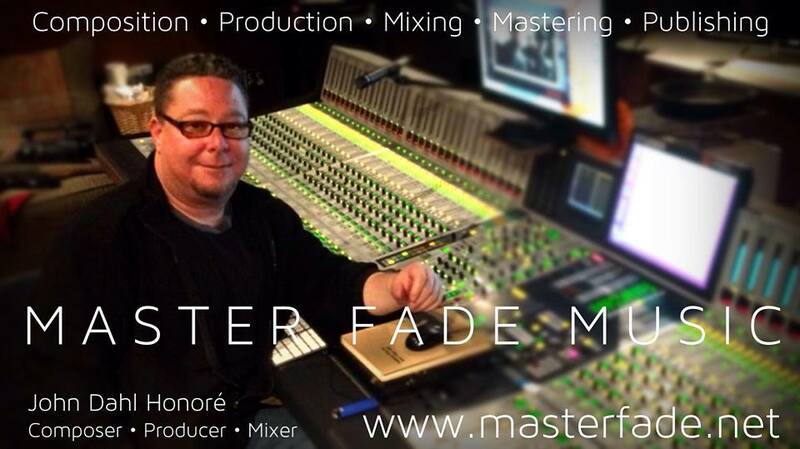 John Dahl Honoré and his production company MASTER FADE MUSIC, located in the San Francisco Bay Area, have been exceeding client expectations professionally since 2004. Currently, John composes music for network television and mix’s songs and or entire albums for other artists when ever time and opportunity allows. Google – YouTube / Sony Computer Entertainment of America / Konami of America / Starbucks – Hear Music / Hewlett Packard / Cintilla / Headsets.com and others as well as various Non Profit Organizations and Indie Films. Keeping Up With The Kardashians / The Real World / Bad Girls Club / Kourtney and Khloé Take Miami / Fox Sports and others. Dante Roberson / Con-Funk-Shun feat. Tony Tone Toni / Testament / Papa Malo / Virginia Ashby / Möbius Donut / Punk Funk Mob / The Harvey Cartel / Earl Zero / Dame Edna / The Christines / The Isabellas / Vinlawdin & The Caliband / Ishtar Monique / Eric Dibbern / Clown Car Jones / Devine’s Jug Band / Jimmy Sweetwater / The Mission Three / Chickenhead Johnson / Symphony of Distraction / Future Perfekt / Karyn Paige / DJ Sol Rising / Cynthia Sandoval / Bray and many many others.